We reviewed the original Miroslav Philharmonik in 2007, and it quickly became our go-to orchestra plug-in. Multiple people on our team have used the original version on several album releases, despite newer products with larger or higher-definition sample libraries. Why? Because it was so easy to use, and had great sounds that were still realistic enough to use for important music scores. But the plug-in itself became outdated, and once Pro Tools stopped supporting the RTAS format, we thought our days with this great software might be numbered. OVERALL RATING = 3.6 Stars, which earns it a WIHO! We were thrilled that IK Multimedia has finally updated Miroslav Philharmonik, and this is happily a case where a great product became even greater. Miroslav Philharmonik 2 retains (and refines) the familiar interface, brings new articulations and control, adds compatibility with a wide range of current DAWs (it works standalone too), and of course improves upon the original’s sound quality. But for those of you who loved the original Miroslav sample library, that is included in its entirety, too! Miroslav Philharmonik 2 is a collection of 58GB (previously 55 GB before the Concert Harp was added) worth of over 2,700 sampled instruments, performed/recorded by the Czech National Symphony Orchestra in Prague. While the first version of Philharmonik was based on SampleTank 2 technology, Miroslav Philharmonik 2 is based around SampleTank 3 technology. In fact, it can be run as a library within SampleTank as well. There are over thirty effects, utilizing T-Racks technology as well. Once loaded, the initial Miroslav Philharmonik 2 screen presents you with a familiar interface with your choices of what IK Multimediacalls “objects” on the left (multis, instruments, patterns) that contain samples. There is also a “Live” tab, meant for assigning MIDI program change numbers and managing memory for live, on-stage use. You can designate Instruments as favorites in the Instrument tab by mousing over to the right of the Instrument name and clicking on the star icon that will appear. This also enables you to create a set list of “favorites.” Given the size of the library, this is a welcome addition, as the first version didn’t have any favorites shortcuts. The Multi, Intrument, and Pattern tabs may initially seem a little confusing, but the Instrument tab is where you’ll find all of the sounds in Mirsolav 2 including the ensembles, solo instruments, pianos and chromatic instruments. The Multi tab simply stores the combination of the sixteen Parts that are loaded along with their Patterns. So the Multi is a combination of Instruments and Patterns, either layered, split or put on separate MIDI channels for DAW sequencing. There are menus for brass, string, woodwind, and full orchestra ensembles with percussion, as well as selections of solo and smaller instrument groupings. Piano, marimba, chimes, harpsichord and vibraphone are also included. Unlike Miroslav Philharmonik 1, there’s no choir or “special effects” (such as players talking, coughing, or warming up) here. However, all of those samples are accessible from a Miroslav Philharmonik 1 menu that provides access to the entire Miroslav Philharmonik 1 library. The Pattern menu gives you MIDI patterns for strings, brass, and woodwinds. We were skeptical at first, but some of the patterns provide a great places to start with an original idea, kind of like a drum loop or a synth arpeggiator. After loading up a sound, you can play from your MIDI controller or use the virtual on-screen keyboard. You will notice that once loaded, some of the virtual keys (on the extreme registers) appear black, in a Doors, Vox Organ kind of way. These keys represent your keyswitch controls. Pressing on one brings up an additional enlarged keyboard, showing the different playing styles each key activates. 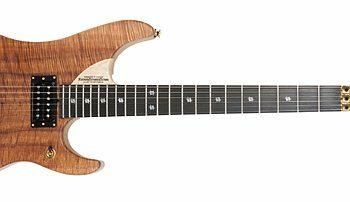 This allows you to switch from sustain, staccato, legato, pizzicato, and so forth, even in real time. In a DAW, you could conceivably have the note and playing style data all on one MIDI/instrument track. Of note, each instrument type (Solo Trumpet, Flute Ensemble, Solo Cello, Viola Ensemble, etc.) 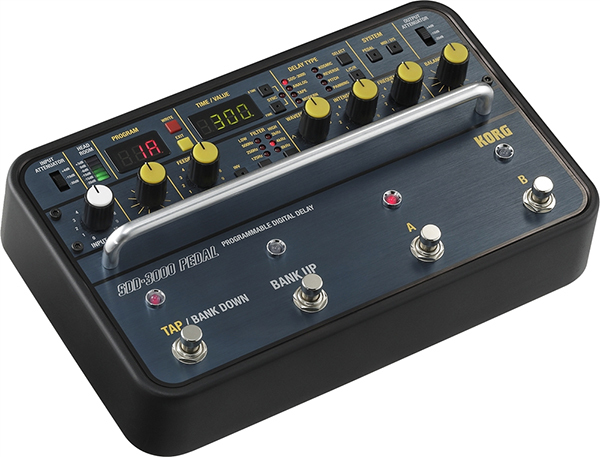 has its own dedicated articulation switching instrument with key switches as they describe. 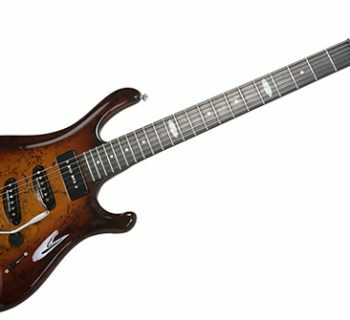 This is always the first Instrument presented for each Instrument type. So, for example, if you open the Solo Violin folder, the first Instrument you’ll see is the key switching, multi-articulation Instrument. On the right side of the virtual keyboard is a macro button, which brings up eight commonly used parameter knobs: expression, attack, release, cutoff, start, low, mid, and high. These allow for quick access to sound parameters. 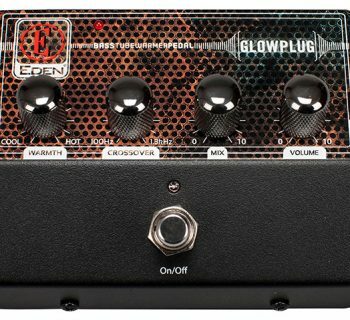 One of the many included effects is this Black 76 compressor. Below the macro button is the effects button. Miroslav Philharmonik 2 has expanded to thirty-four effects, derived from Sampletank 3. You get five equalizers, four dynamic processors, seven filtering and special processors, nine modulation effects, and nine reverb and delay effects. It was interesting to see phaser, univibe, and leslie effects, as these are not traditionally heard with an orchestra; however, that’s part of Miroslav’s appeal—to be able to go beyond basic orchestral sounds. All of the above submenus are part of the Play screen. Pressing the Mix button (next to the Play button) brings up a sixteen channel mixer with four return channels and a master channel. This is reminiscent of a DAW mixer page, with your instruments labeled at the button, the slider in the middle, and effect plug-ins at the top. There are five slots for the various effects per channel, but if you don’t want to see the names of the effects, you can press the instrument icon button, which will replace the names with graphical representations on each track (i.e., violin picture on a violin track, horn picture on a horn track, etc.). Next to the Mix button is the Edit button, which brings up a large number of parameters you can edit, including resampling, polyphony, LFO, envelope, velocity, ADSR controls, just to name a few. It is here you can really fine tune the sound and effects you desire, all in a straightforward format. Let’s get this out of the way: installation is horrible, and that’s us being polite. The 58GB sound library (once you are authenticated to access it) is divided into sixteen files, which then have to be manually downloaded and installed individually. Given the large file sizes, embarrassingly slow, throttled download speeds that felt like the days of a 56k modem, an occasional download error, and the occasional installation error, it took us three days to finally finish installing it (only two days of pain in a second studio on the other side of the country). If only we had known at the time that you could purchase the software on a USB drive! But whether you download or receive the files on a hard drive, having to manually install each of sixteen files is inexcusable. Back in the days of Miroslav 1, laptop storage came with a premium price tag, and we could—maybe slightly—accept the argument that people might not want to install the entire sample library onto a laptop computer, but today, storage is cheap and plentiful, so IK Multimedia needs to update the installation process. Fortunately, once finally installed, Miroslav Philharmonik ran great on both our 2011 and 2013 Apple MacBook Pro laptops, in stand-alone mode and as a plug-in. Those familiar with Miroslav Philharmonik 1 and/or SampleTank will find the interface is very familiar. It is easy to get around, and most things are self-explanatory. Basically, choose your instrument(s) from the left column, see them appear in the list in the center, and then edit parameters and play as you choose! We liked the new keyswitch functionality. While you could separately load and play the different sample/playing types, being able to switch on the fly was very useful. Building complex layers of multiple samples isn’t really what Miroslav Philharmonik is about, and there are deeper and more complex sample libraries available for classical composers in need of Hollywood film score realism. But for creating orchestral sections and arrangements that are convincing enough for most things, with minimal effort, Miroslav Philharmonik 2 keeps the focus on creativity and ease of use. In this regard, it succeeds in very well. One thing about the samples: some take a bit of time to load the first time you access them (particularly some of the piano samples). But hardware plays a key difference here, as a laptop hard drive is slower than a desktop hard drive, and both are exponentially slower than an SSD drive. Our newer MacBook Pro had solid-state storage and didn’t exhibit the performance issue of the older HD-equipped model. This is really the heart of the matter, isn’t it? What made Miroslav Philharmonik 1 so well liked was its ease of use and its warm, engaging sound. 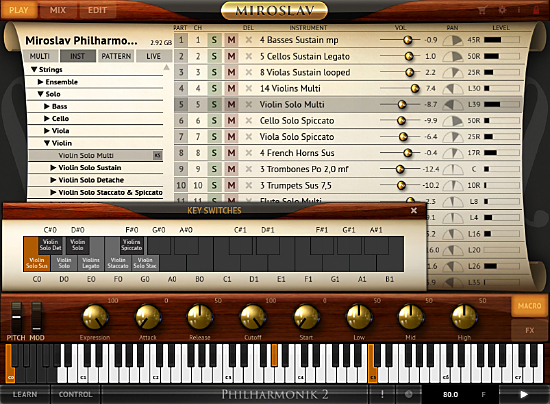 A few of the MusicPlayers.com editors have used Miroslav Philharmonik 1 on multiple pro recordings (including with Grammy-award winning engineers and producers), and everyone has liked its realism. Miroslav Philharmonik 2 continues that tradition and improves upon it. While still including all the Miroslav Philharmonik 1 samples, the new samples bring new life to an already great virtual instrument, with bigger, warmer sounding instruments in most cases. There are certain favorites we have from the first version—especially the cello, which found its way into many recordings, but like any instrument, this is a matter of taste. For those unfamiliar with Miroslav, the instruments (selected from the left side of the window) are divided into sections: strings, brass, woodwinds, etc. Clicking on one of these then brings up a submenu that enables you to choose a solo instrument (i.e., a solo cello) or an ensemble (i.e., fourteen violins). While all of the sections sound good, we are particularly drawn to the strings. That’s a good thing too, as much of the sample library is dedicated to string samples. While the original version easily allowed us to perform realistic string sections, this version goes even further with specific articulations such as sustain, detache, spiccato, pizzicato, and staccato. Want to sound like ‘80s Enya? Try the pizzicato string section and play a V-IV-I progression. Going for something cinematic and suspenseful? Try the Tremolo section. Better still, add the violin ensemble to that tremolo section, then add some reverb, and you can get a pretty big sounding film score going. Although Miroslav isn’t a pop horns plug-in, per se, there are brass sections, and with some tweaking, they can deliver respectable results for horns played in a pop music context. It doesn’t include some of the grittier brass like saxophone, but Miroslav is quite versatile nonetheless. One thing to keep in mind with Miroslav is the difference between “sustain” and “latch.” In Miroslav, like many other orchestral sample libraries, the term “sustain” means that the recorded musicians are playing a sustained articulation—aka a long note—as opposed to a staccato, spiccato or pizzicato articulation. IK Multimedia also uses the term “latch,” which is used with loops and MIDI patterns to hold them indefinitely. One interesting addition to the updated software is the pattern selector. There are arpeggiated patterns you can select, and with the surprising new Edit section that allows tweaking of envelopes and filters in a synth-like fashion, you can get some pretty non-traditional sounding stuff. Purists may not like this, but in today’s modern mash-and-smash-the-sample world, this is quite a welcome surprise. This inclusion allows you to create a much wider palette of sounds than was possible before. We had fun taking some choir voices and creating our own personal Mellotron, for example. Modern music loves the use of mashed up sounds, and Miroslav Philharmonik 2 helps you take obvious classical instruments and make them just a bit less acoustic. There is a downloadable manual on the website, and there are several tutorial videos on the website as well. However, Miroslav Philharmonik 2 is pretty easy to use, and users of the first version will be right at home. Of note, the manual gets automatically installed into your Mac’s Documentation folder on the system drive when you install the software. There are quite a few options. If upgrading from Sampletank 3, Sampletank SE, or Miroslav Philharmonik 1, a download is $299, or delivered via USB drive/boxed is $329. Crossgrades from any other IK Multimedia product is $399/$429, while a new purchase is $499/$529. Considering some orchestral libraries costs thousands (and in some cases, only contain strings! ), Miroslav Philharmonik 2 is a very good deal for all around usability and flexibility. Sure, the ultra-conservative may not like that you can stray from strict orchestra sounds if you choose, but we like the flexibility. If you’re looking for an easy to use, great sounding orchestra plug-in that doesn’t cost a small fortune, you’d be foolish not to check Miroslav Philharmonik 2 out! But do yourself a favor—purchase the physical product on a USB drive! Jason Buchwald, Senior Keyboards Editor, is a Phoenix, AZ area professional keyboard player, originally from New York. Besides multiple CD credits and live performances opening for well-known artists, Jason was the co-founder of the progressive rock band, Days Before Tomorrow, and is also an accomplished vocal arranger for A Capella groups. He can be contacted at www.buckytunes.com.